We want to set the proxy service security authorization policy rules using WSLT. This is a biggy. 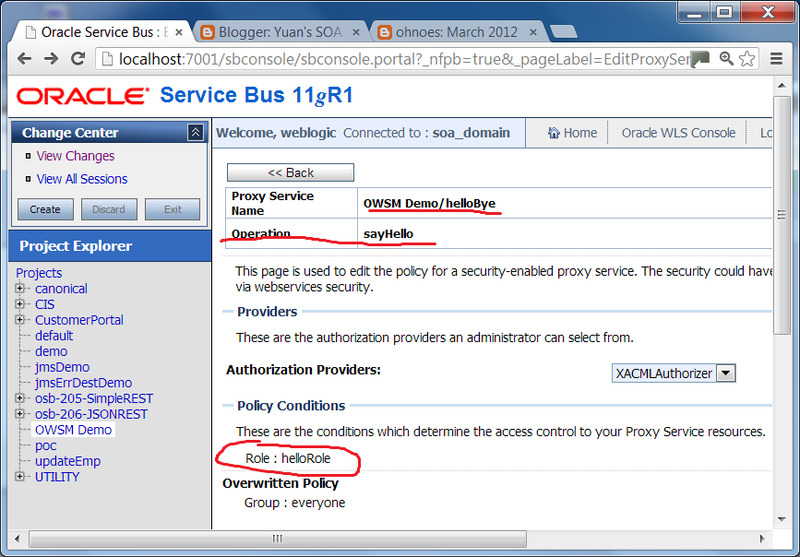 Since it is undocumented feature and not supported by Oracle. 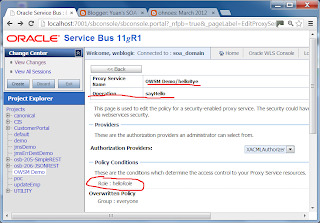 I relied on a single post here http://ohnoes-nz.blogspot.com/2012/03/oracle-service-bus-using-wlst-to-secure.html, and I had to do some reverse engineering of Java classes in the OSB jars to sort out the API. # need domainRuntime(), obtain session management mbean to create a session.